Do You Like Playing with Dominos? 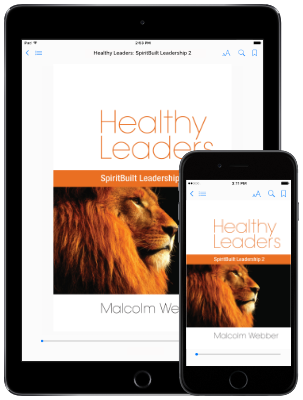 Articles in this category focus on how a leader can refine and build their character in Christ and lead by example from a Holy life. The healthy and disciplined leader realizes he’s already broken. In this brokenness, he can be whole if he allows himself to be. What are your blind spots? How do you deal with them? Do you overlook them, or do you submit them to the Lord and ask other Christians to help you tackle these areas? I realized at the funeral that I need to change my perspective. As the Bible clearly commands: “Rejoice in the Lord always; again I say rejoice” (Phil 4:4). Looking around at the most relevant and cutting edge ideas about leadership today, I’m guessing these two ‒ patience and pain ‒ probably wouldn’t make the list.. The most important leadership characteristic is credibility. Here are five common ways leaders lose their credibility. "What's the excuse this time?" So often our team embarks on a new initiative and partway in, we can already hear people beginning to frame excuses as to why it won't (and eventually doesn't) work. What if we got them all into the open beforehand? Great Preacher = Great Leader? Not So Fast! We make our plans but they often go in much different ways. The key is how we respond to life’s challenges. Do we complain and moan? I often do. The challenge is to see beyond the circumstances and see the golden nuggets in the midst of our trials. In leadership, owning my own idea can be dangerous. If, as a leader, I place my value or my self-esteem on every idea I initiate, I will eventually become isolated from the valuable input of my team. The best leaders I know are consistently getting better, but while all of that is true, you can often spot a mature leader. They share common attributes. What’s an “On the Level” Leader Worth? It’s never too early or late to strengthen our commitment to becoming a God-honoring leader. Everyone impacted by our leadership, including us, will be so grateful we did. The primary calling of pastors and leaders in the Church is to lead people to become the type of disciples Christ has called them to be. And this means that ministry leaders must model what it means to be disciples. The most important characteristic in effective communication and effective leadership is credibility. Just as people are unable to follow a leader they cannot believe or trust, a message will not be heard when it is delivered by someone who lacks credibility. An individual can continue to grow even with a leader he or she cannot respect – sometimes even more. Here are seven actions I suggest when you don’t respect the leader. There’s no shortage of answers, and in the wake of each pastoral scandal, all sorts of finger pointing ensues. Certainly, we could, and probably should, question our definitions of success or our defining ministry philosophies. My goal is much more meager. It seems like a simple recipe. First, you quiet your ego. Then, you become a better learner. Finally, you emerge a better thinker. If you have ever witnessed a disaster being pulled from a smoking oven, you know that some recipes are more difficult to execute than others. The recipe for better thinking is one of those difficult recipes and ego is the spoiler. Rewards come in all shapes and fashions. David exhorts us that the greatest reward of leadership is being forced to frequently confront and admit our own shortcomings, constantly growing even as we are the catalysts for others to grow. Kevin Cashman lists several questions that can help reveal where our leadership strengths lie. In this article, these five questions have been adapted. I suggest reading these questions slowly and reflectively every day for the next five days. If we strive to be excellent leaders, we must be intentional and passionate about serving Christ and His church ‒ moving forward, engaging culture. Leaders are born, but they can also be developed. Jesus did not recruit His men from Bible Colleges or Universities or the political arena. He largely found ordinary men in the marketplace, men with certain qualities. And we see in the calling of these four fishermen an important principle; He tested them to approve them and then to entrust them with responsibility. How did He do that?